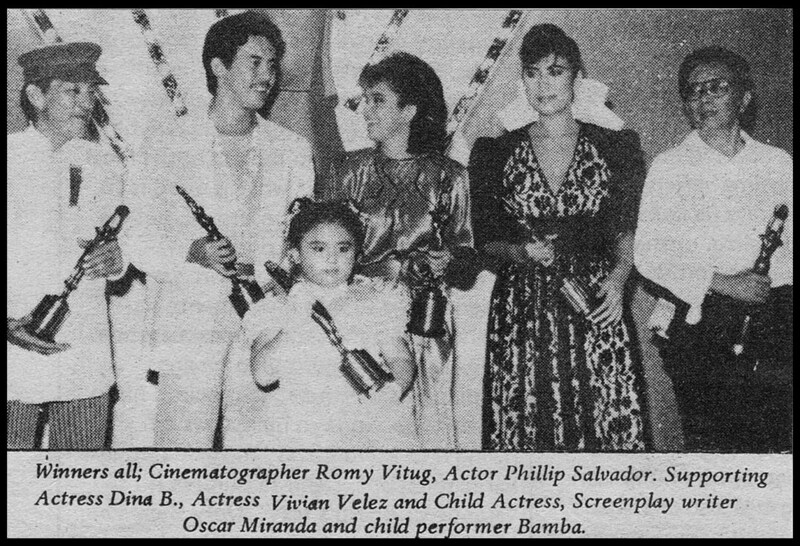 Phillip Salvador represents Viva Films, Best Picture Award for "Gabi Na, Kumander"
Nida Blanca, Best Supporting Actress for "Magdusa Ka!" 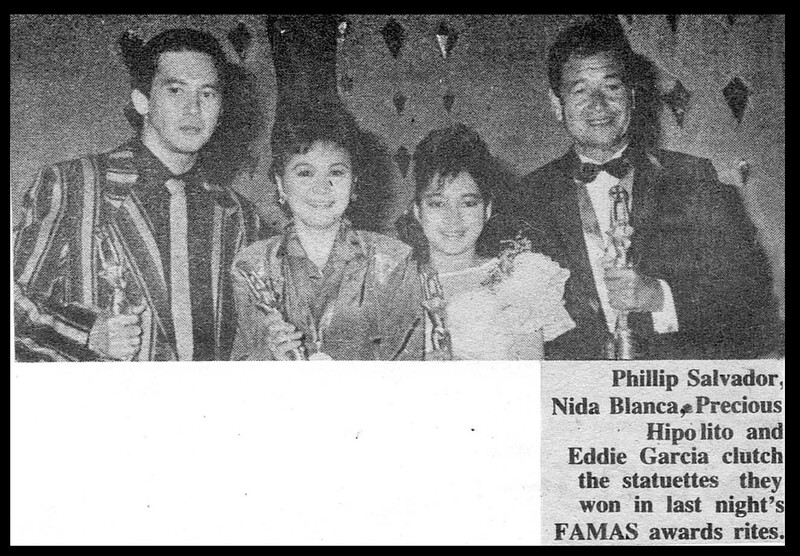 Precious Hipolito, Best Child Actress for "Mga Anghel Ng Diyos"
Eddie Garcia, Best Director for "Magdusa Ka!" 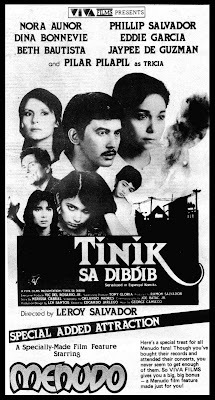 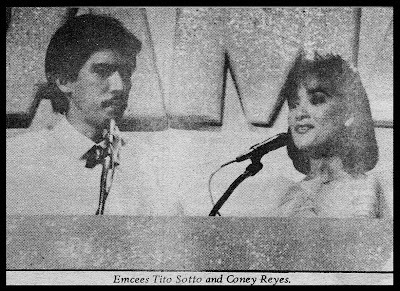 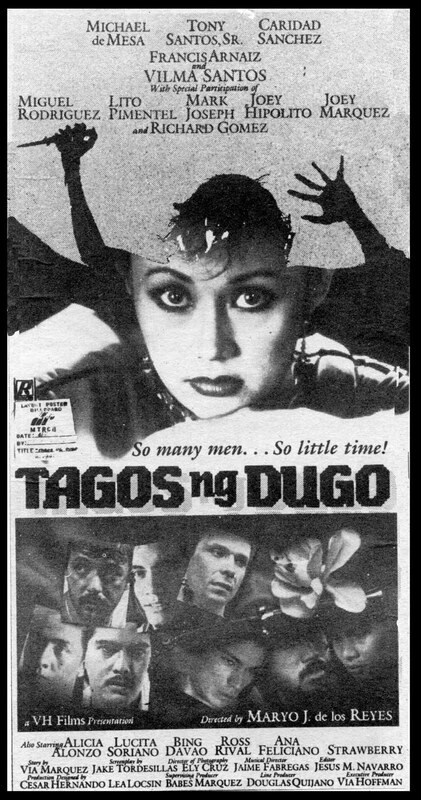 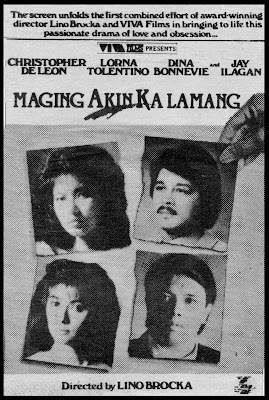 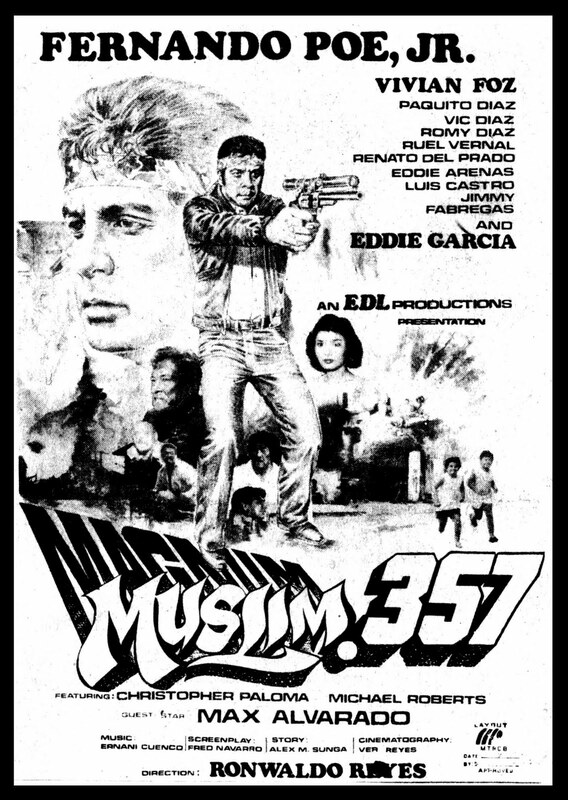 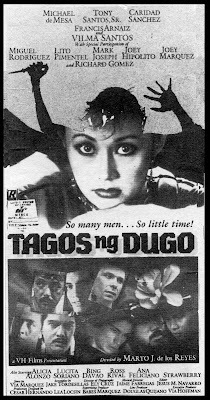 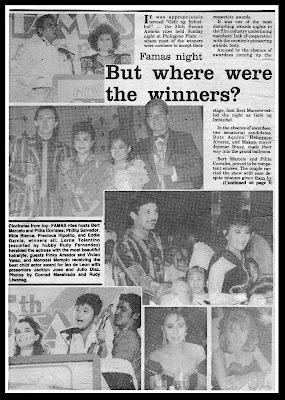 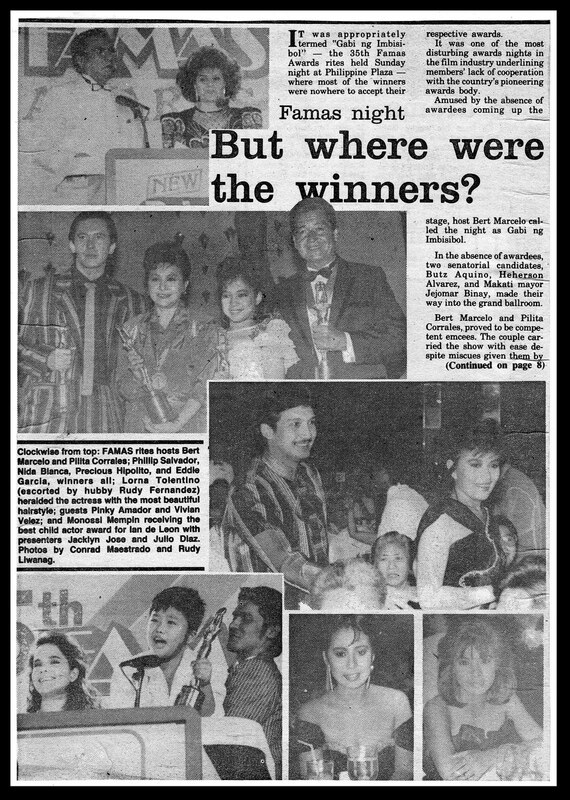 1986 FAMAS Best Actor Award to Fernando Poe, Jr. for "Muslim Magnum .357"
1986 FAMAS Best Actress Award to Dina Bonnevie for "Magdusa Ka!" 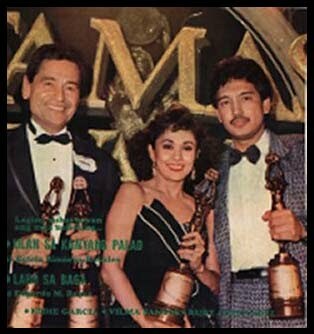 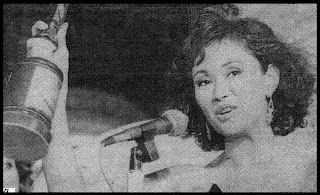 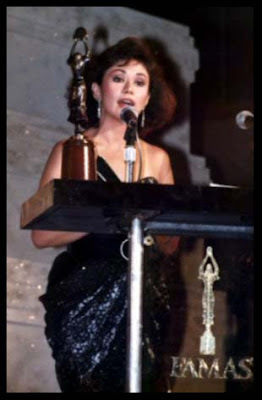 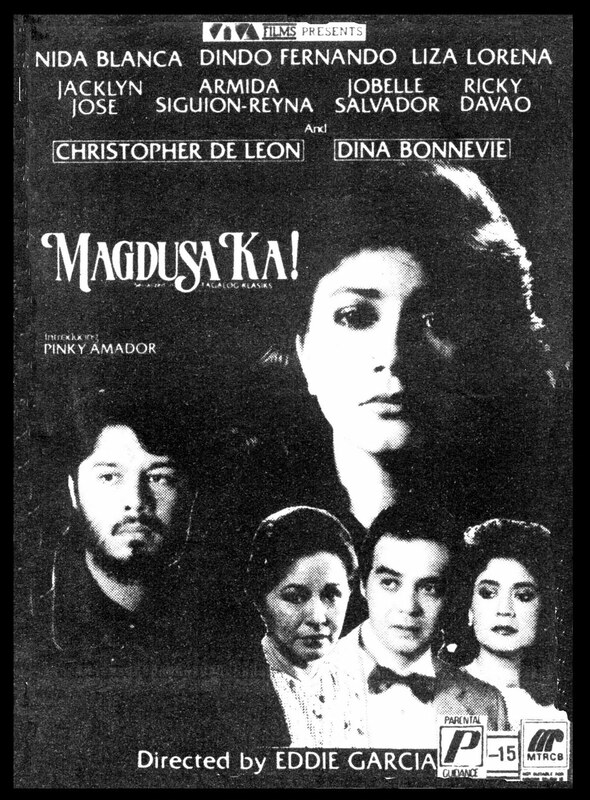 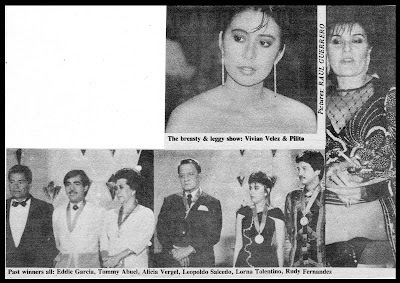 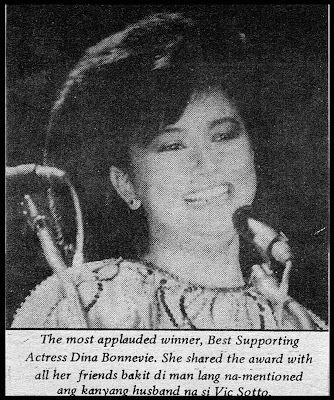 1986 FAMAS Best Supporting Actress Award to Nida Blanca for "Magdusa Ka!" 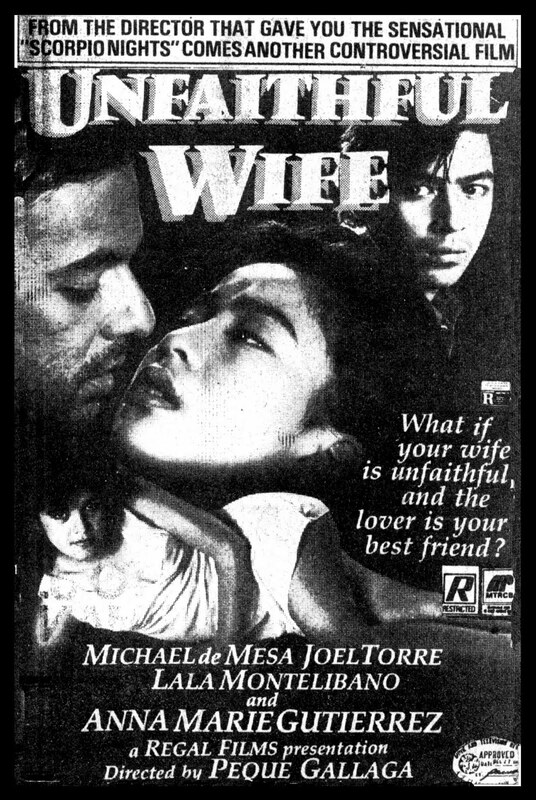 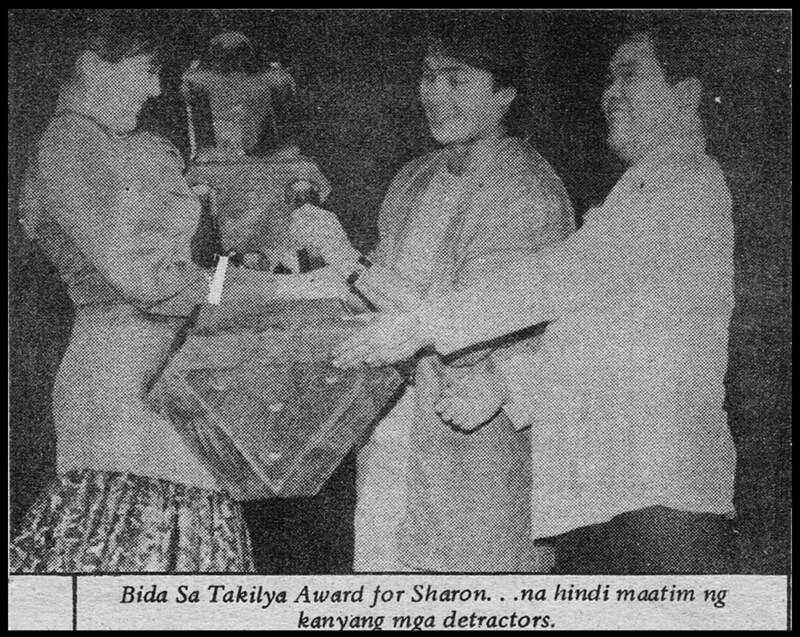 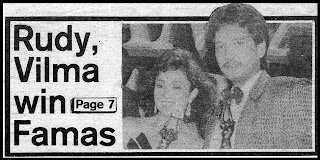 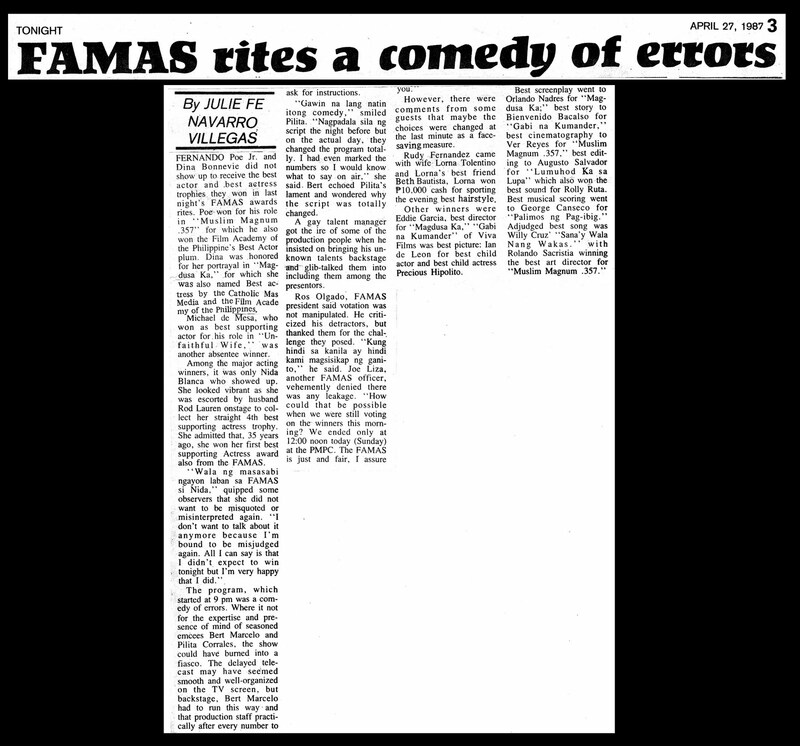 1986 FAMAS Best Supporting Actor Award to Michael de Mesa for "Unfaithful Wife"
During the special awards presentation, three young presentors apparently were not informed of what they were supposed to do. 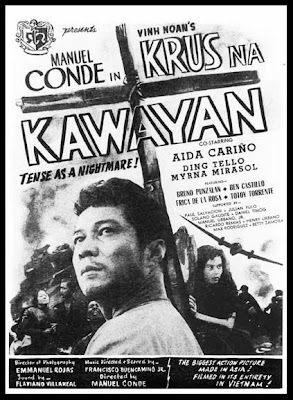 Marcelo tried to help them by giving them their cues but only succeeded in confusing them even more. The situation worsened when they accepted the award they were supposed to only present in the first place. 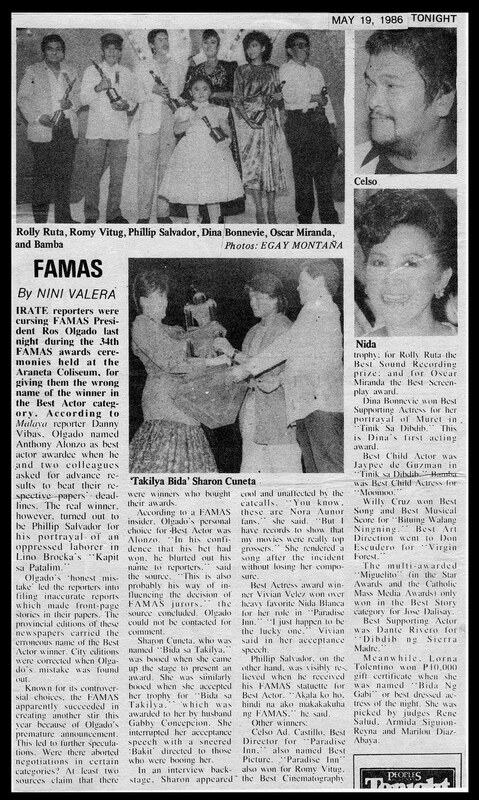 Special awards were also given: Dr. Jose Perez Memorial Award - Alfie Lorenzo; Gregorio Valdez Memorial Award - Censor's Chairman Manuel Morato; Lou Salvador, Sr. Memorial Award - Pilita Corrales and Ciriaco Santiago Memorial Award - Eddie Romero. Medals were also given to previous FAMAS winners and some members of the press. (Monette Gallego). 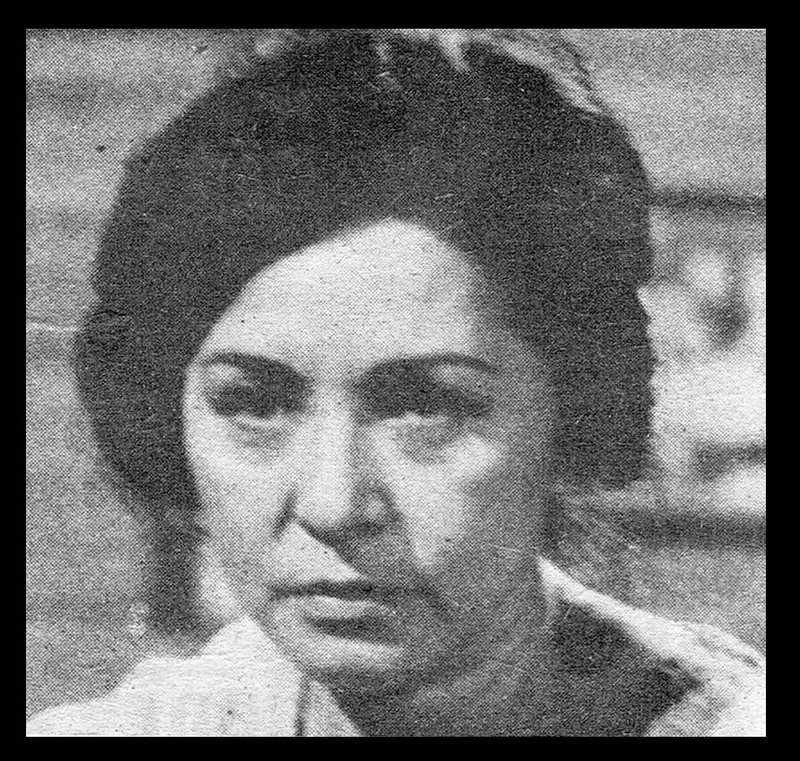 A grandson (Michael Xavier Chung) of former movie actress Lila Luna (Teresita Kho Chung in real life) emailed me to inform those who remember the actress in Prinsipe Amante, Lupang Pangako, Florante At Laura and Harana Sa Karagatan, that she passed away last September 22, 2009. 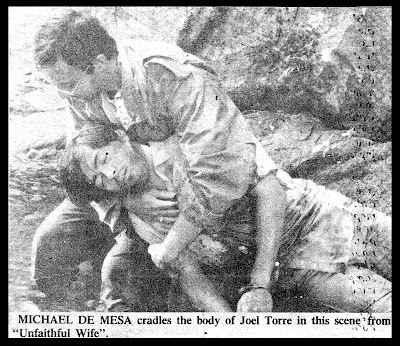 Michael said her grandmother was totally blind since 1964. 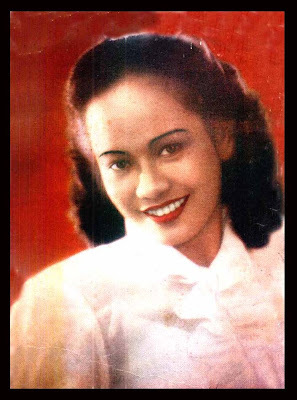 He sent some pictures of her grandmother and posted here. 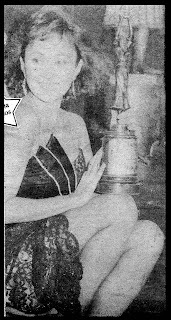 Lila Luna in the 50s. 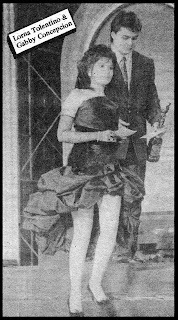 According to her grandson, Lila Luna was totally blind since 1964, pictured here holding a cat. 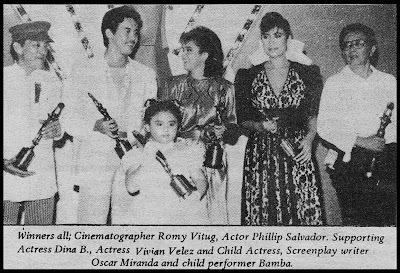 Lila Luna's son and daughters. 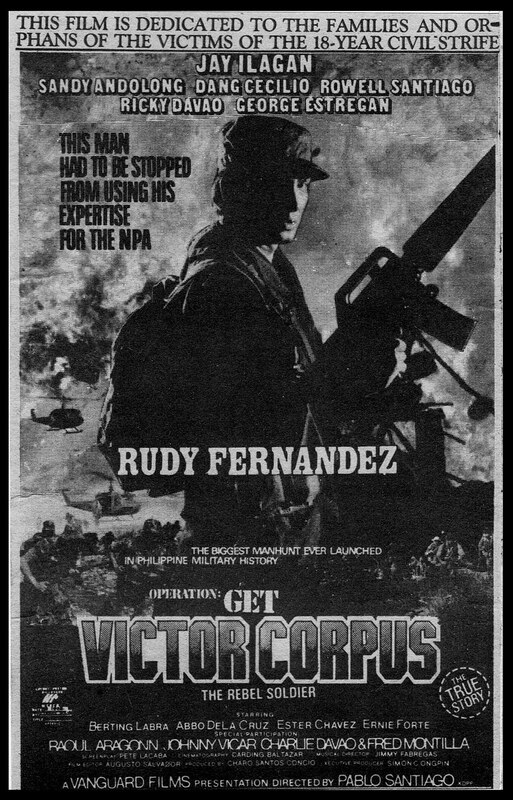 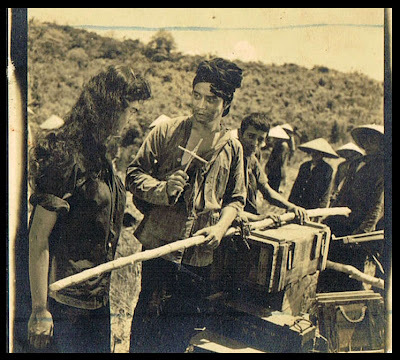 After the Vietnamese war of liberation against the French, Vinh (Manuel Conde) comes home to find his village dominated by communists who execute his parents and incarcerate him. 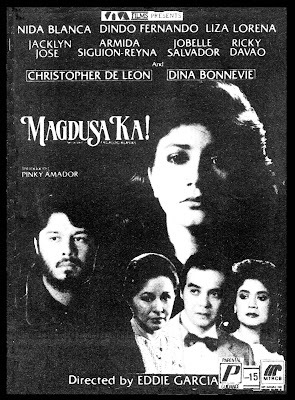 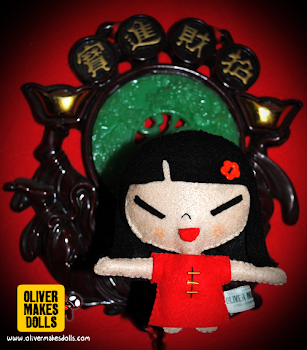 He also discovered that his sweetheart, Lan (Aida Carino), has joined the tyrants. 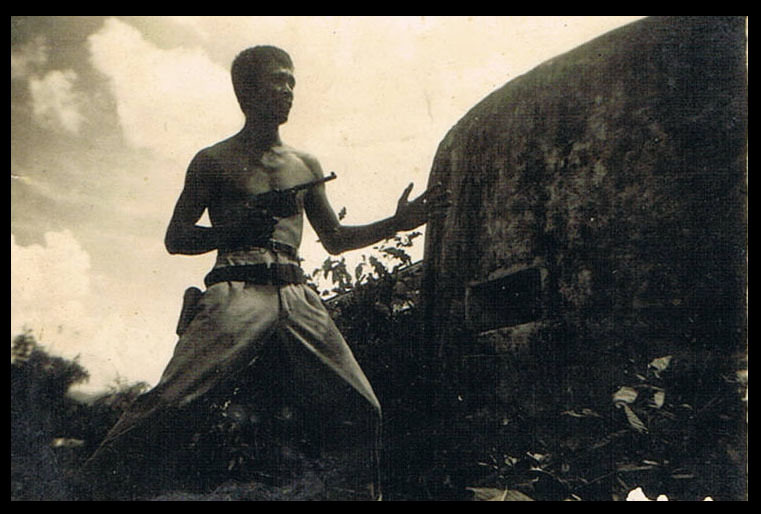 Vinh rejects Lan and eventually escapes from Vietnam. 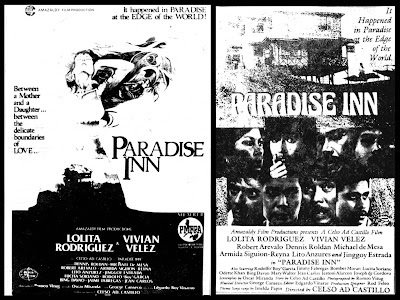 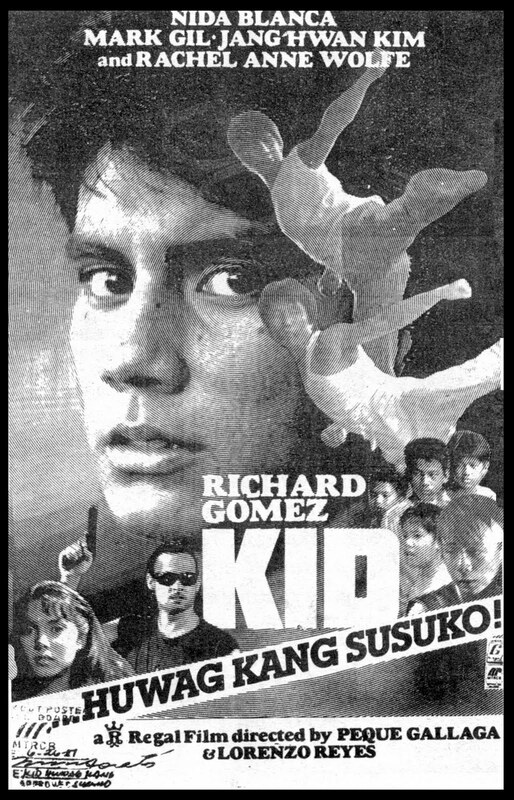 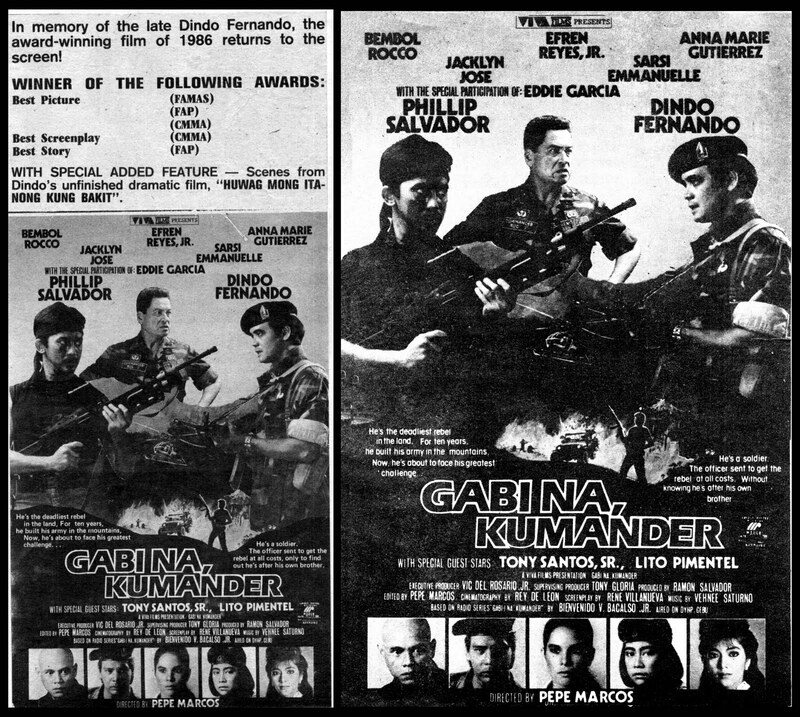 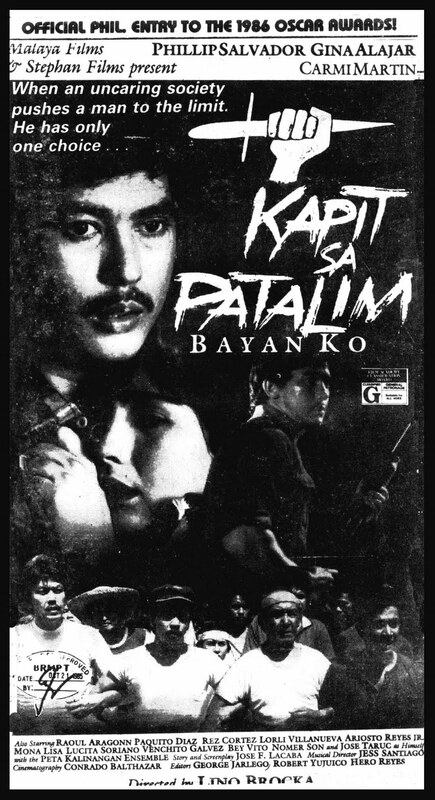 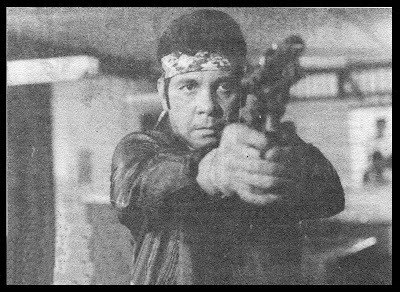 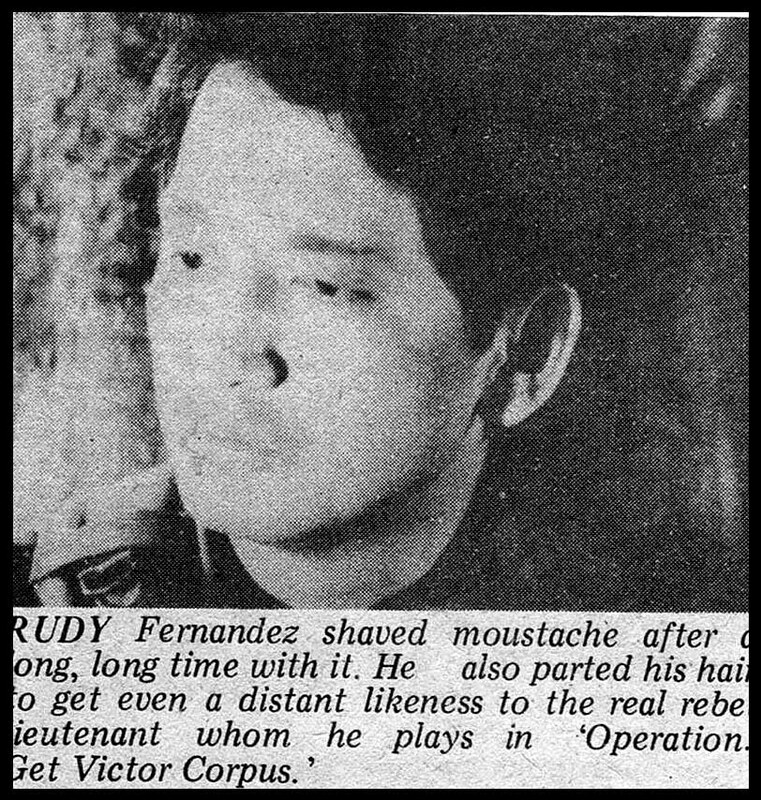 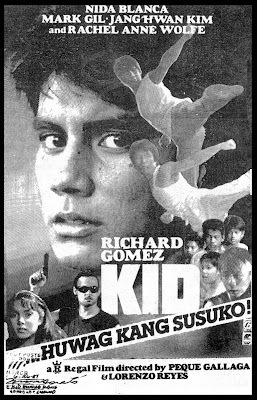 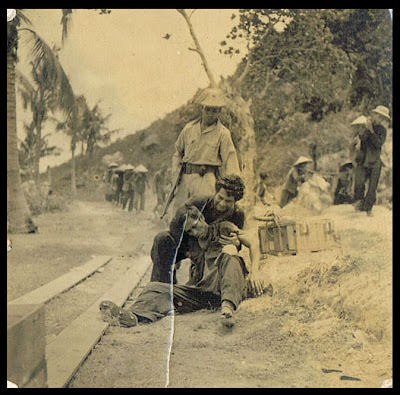 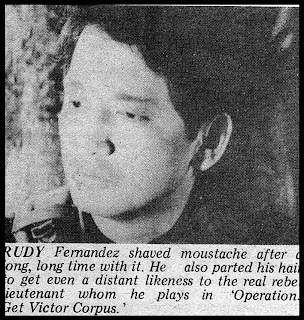 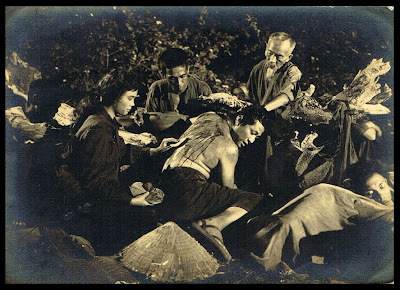 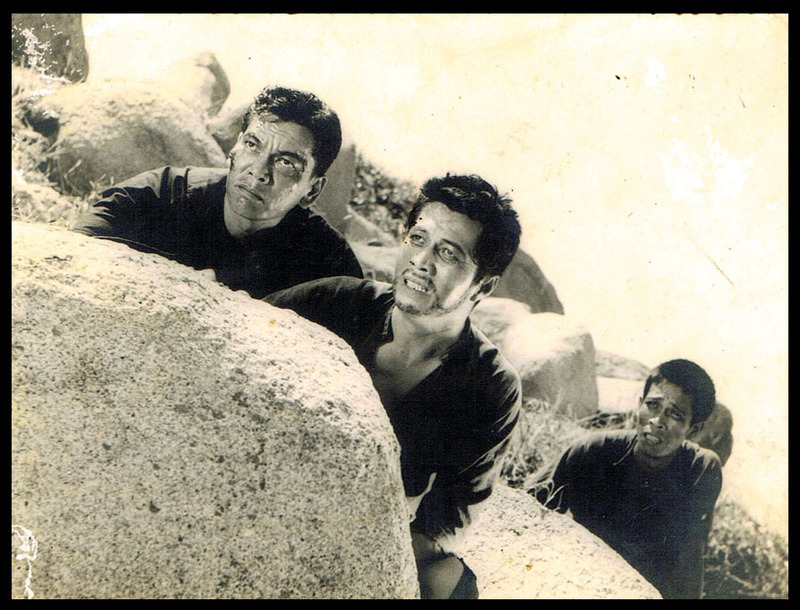 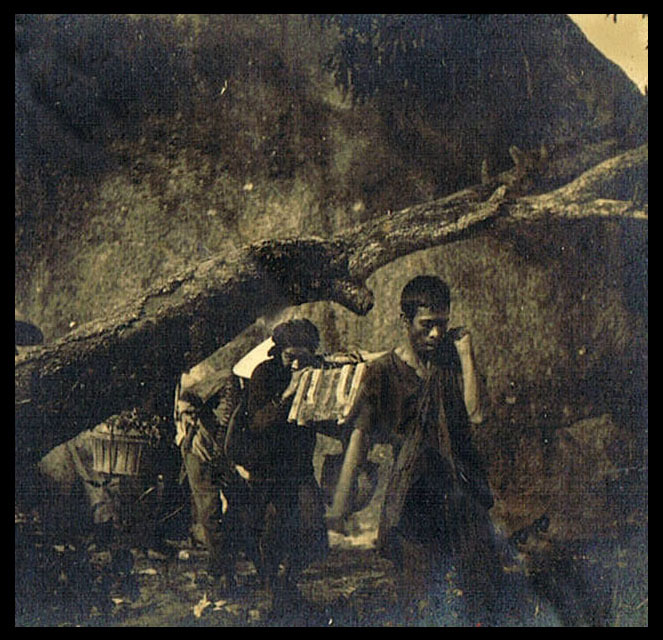 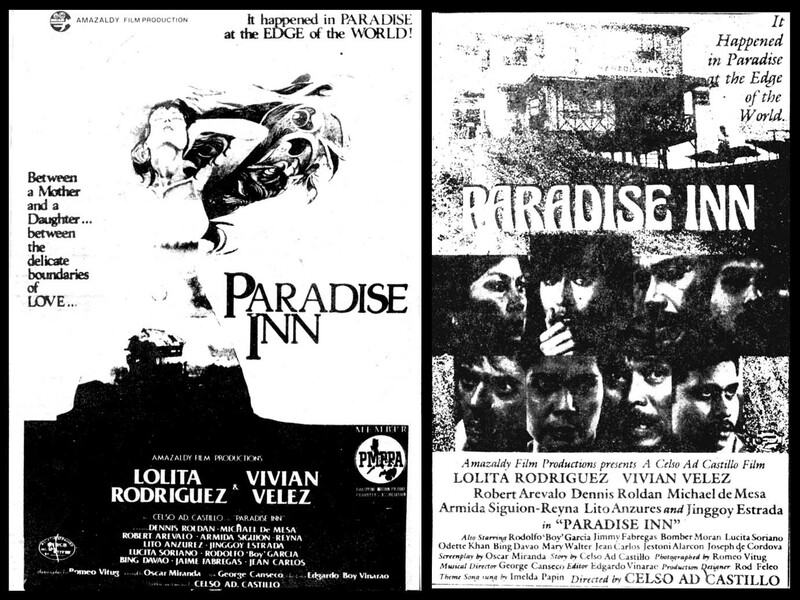 Krus Na Kawayan was shot in two versions, a Vietnamese and a Tagalog version, and with each version's main characters played by its own set of native actors. 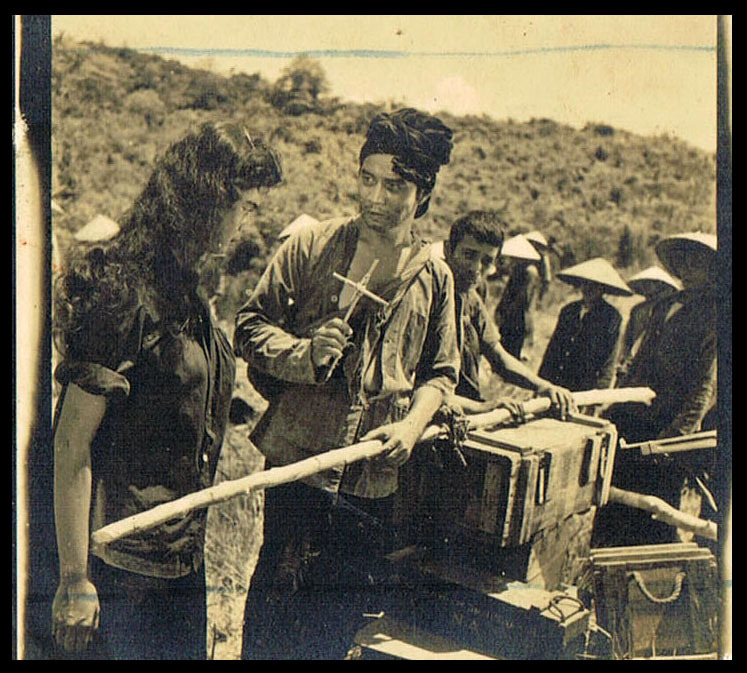 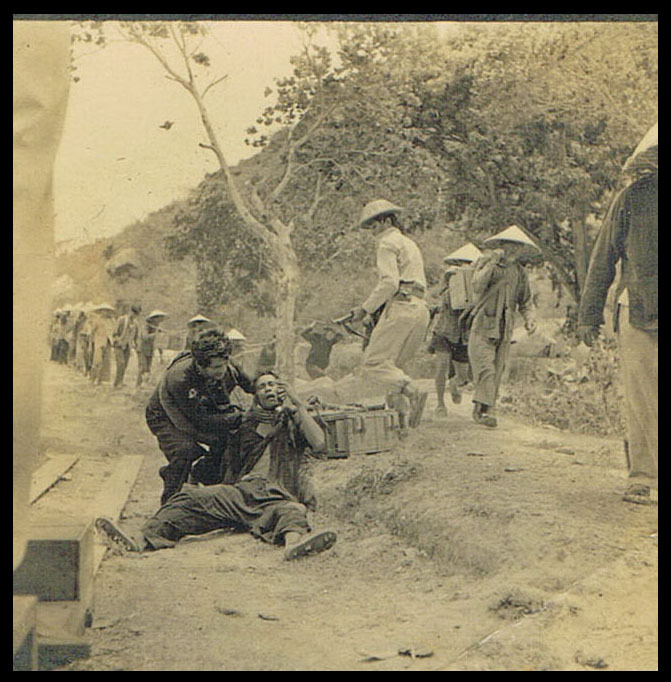 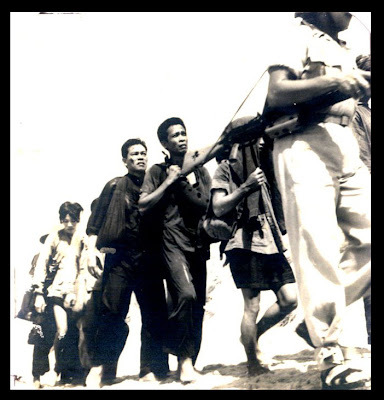 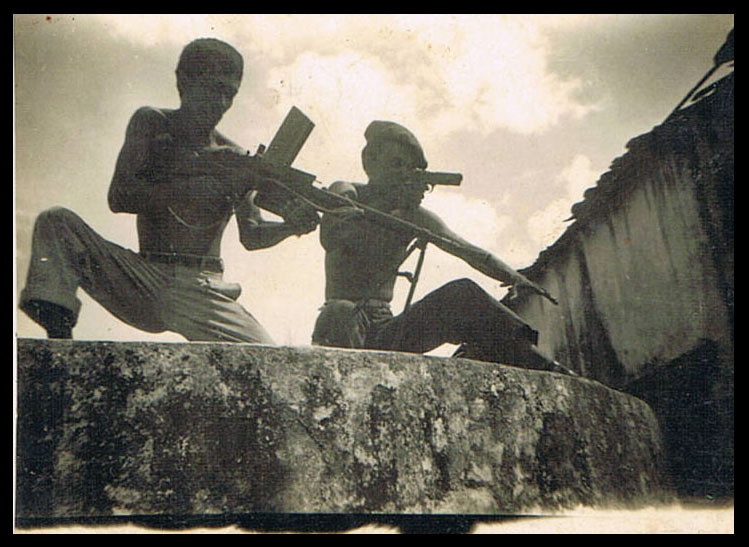 Two battalions of Vietnamese soldiers were engaged to act as extras for the film. 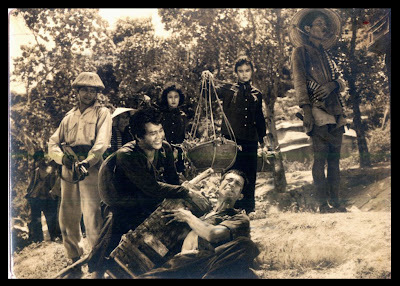 The Vietnamese version "Chuong Toi Muon" was a blockbuster in Vietnam, while the dubbed English version "Let Us Live" was viewed at international arts theaters up to the mid-80s.